FIRST EVER Balloon Drop at the Colorado Capital! With the restoration of the Colorado Capital Dome complete there was no better way to celebrate then a very tasteful and appropriate gold balloon drop from the top of the capital dome! We surprised everyone as no one had prior knowledge that there was going to be a balloon drop. 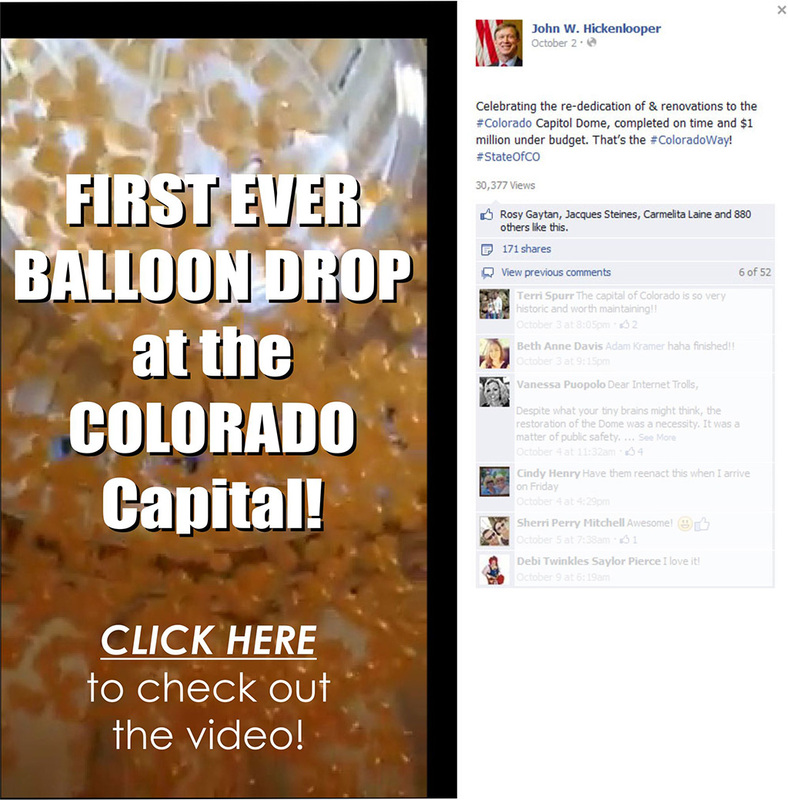 Another awesome feature was we were told this was the first time there had ever been a balloon drop in the Colorado Capital and the current standing governor, John Hickenlooper even posted it to his Facebook page. Click on the image above to check out the video he shot.